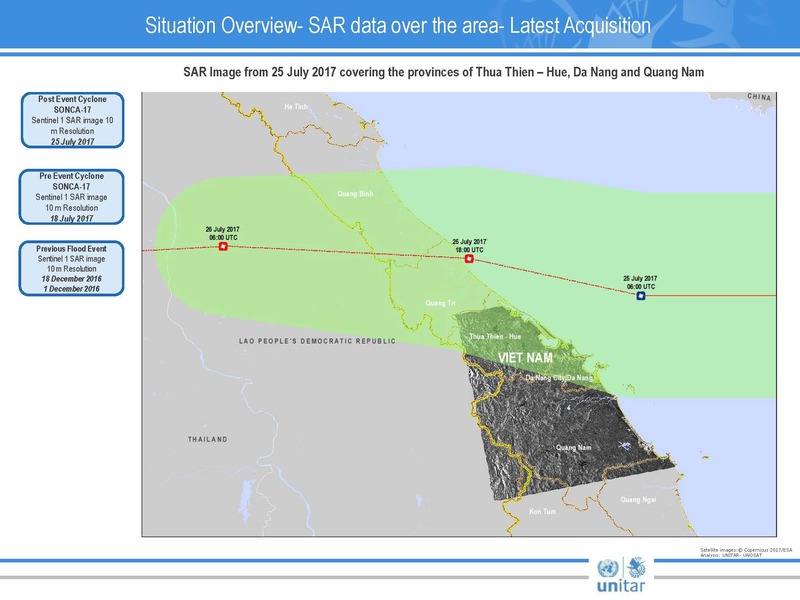 Preliminary Rapid Flood Assessment in Viet Nam: hua Thien Hue, Da Nag and Quang Nam provinces. Purpose of the flood rapid assessment is to give a quick overview of the magnitude and severity of the event. Rapid Flood Assessment was conducted over the area covered by the Sentinel-1 image acquired on 25 July 2017. Provinces analysed: Thua Thien Hue, Da Nag and Quang Nam. Imagery Dates: 25 July 2017, 18 July 2017, 18 December 2016 & 1 December 2016.